She comes inside and her hair is so crazy. I tell her to grab a brush so that I can brush it for her. As she stands in front of me, I smile. Her cheeks are red and her hair has that smell – that smell that it’s cold outside and she’s been running around. Do you remember that smell? After you rolled in the leaves or came in from the snow when it was cold, but you weren’t? It always catches me off-guard when a smell or a sound takes me back – that cold smell, the sound of toast being buttered or eggs being scrambled. It makes me wonder what they’ll remember. I wanted nothing more this weekend than to capture some of the gorgeous fall foliage in the woods on some film, but we needed rest so much more. So we napped. 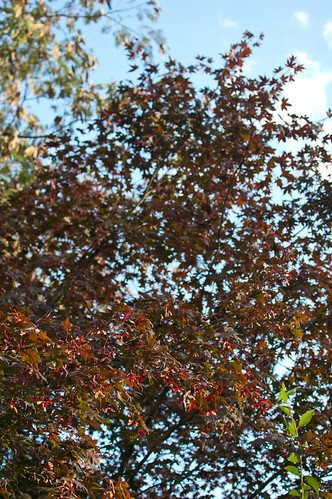 And I hunted for bits of fall in the backyard. 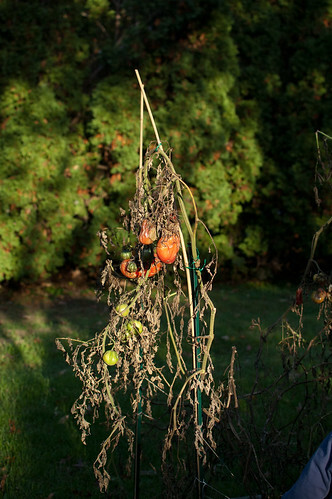 And found dead tomato plants that I didn’t have the energy to cut down yet. 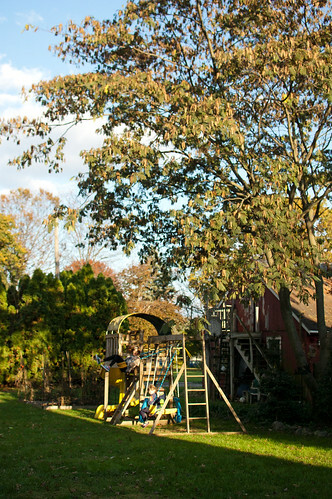 And put the bits of fall on Instagram instead of film. And we ate sloppy joes and meatloaf that I had put in the freezer for a weekend just like this where I didn’t want to cook. And I “organized” (i.e. took away another 70% of) my kids toys and shoved them in the basement and they only noticed that one thing was gone (the toy register) (because they were fighting about who was going to get to use it.) Amen. p.s. Want an easy project? 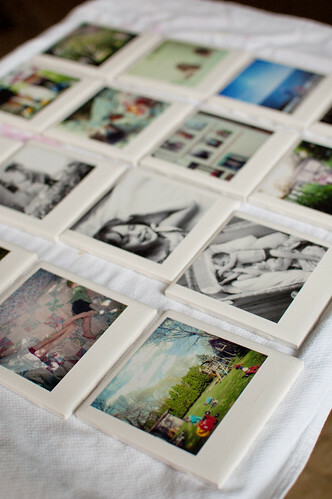 Theses “Polaroid” coasters are AMAZING! I used my Instagram photos, but use any top stock photos that you love and cut them to the right size. (and, Hi – come find me on Instagram, it’s my favorite! I’m @lillianranauro and I’d love to follow you, too!) I made these over the past few days and they’re my new very favorite project ever. 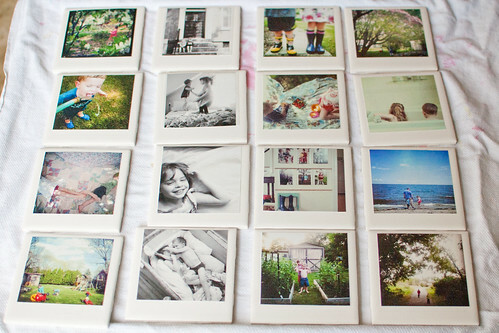 The ceramic tiles were $0.16 each at Lowe’s and the prints were $0.15ish cents each. So maybe $5 for the whole project. A few coats of modge podge and a couple of layers of acrylic coating and you have awesome new coasters! (Or in my case – now you HAVE coasters, yay!) I let them dry one layer at a time, so it took a few days. But it was worth it – they’re so fun! 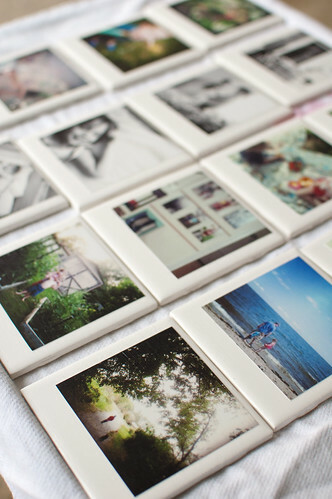 Now that I found those tiles for so little, I kind of want to try this project, too.